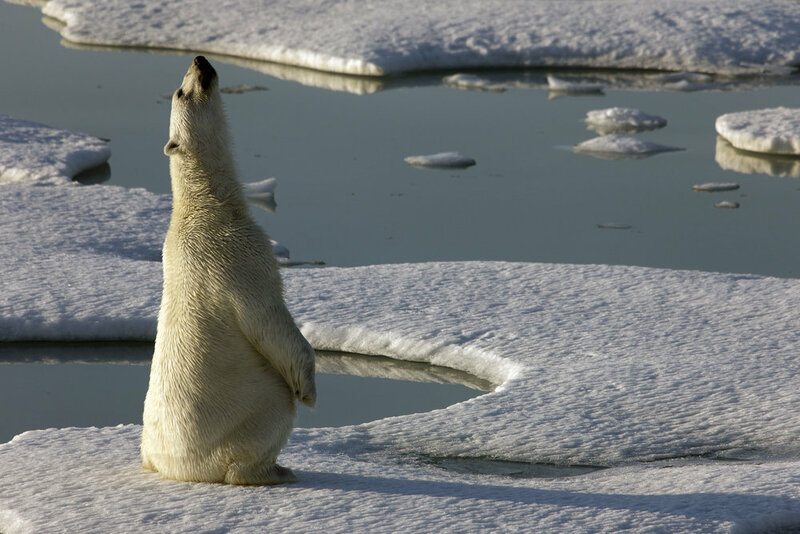 An adult polar bear sits up on its hind legs, to catch a scent. Polar bears have a highly developed sense of smell to assist them with hunting their prey. 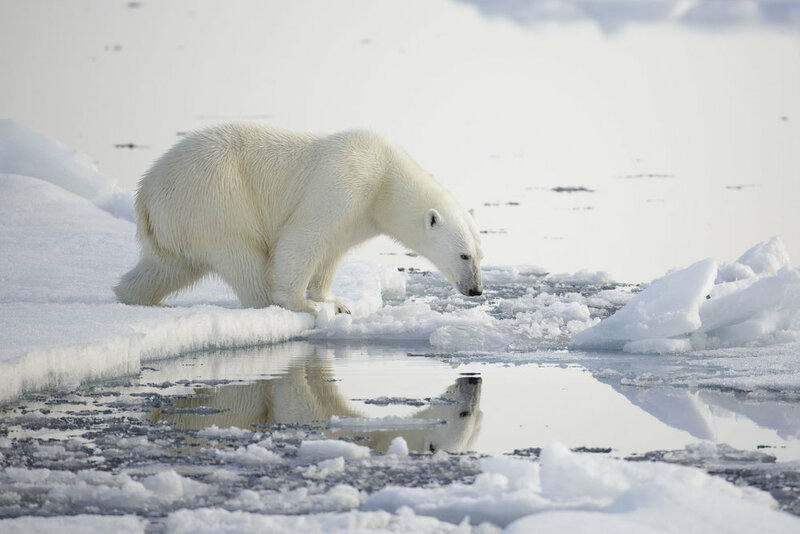 This polar bear was photographed on coastal sea ice inside a fjord to the north west of Greenland, it. wandered off to hunt a seal in the sea ice after this picture was made. Two 'cubs of the year' carefully follow their mother as she sets off in search of food for them. As the year advances she must teach them how to hunt for ringed seals amongst the ice floes on the surface of the Arctic Ocean. A scientist examines the teeth of a tranquilised polar bear. To the trained eye, the teeth reveal a lot of information about the bear's health, age and history. This information all goes into the data set. 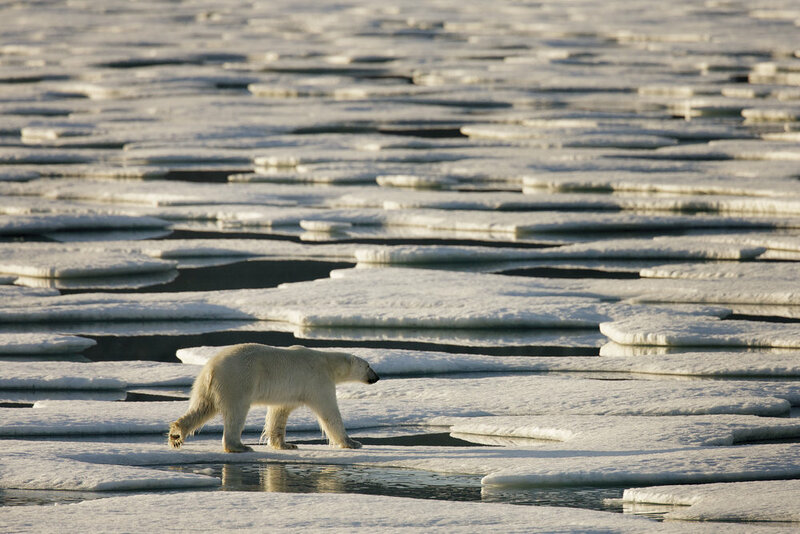 A scientist measures the length of a tranquilised polar bear on a frozen fjord in Svalbard. 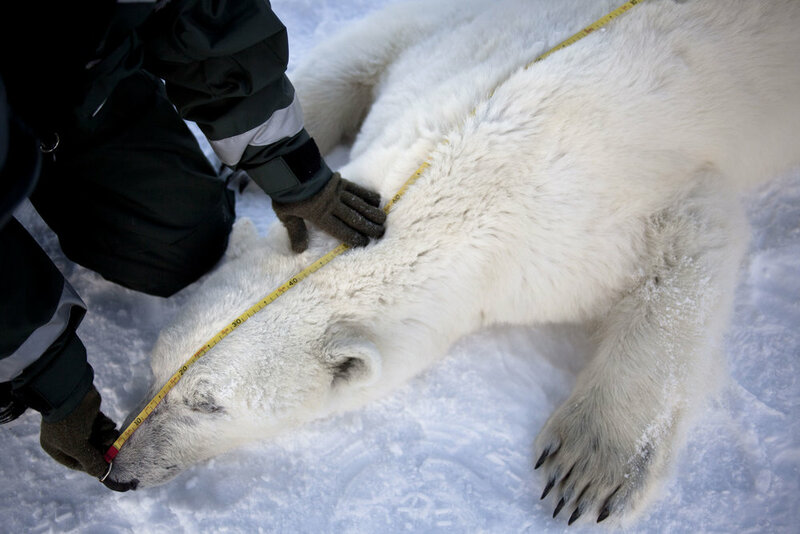 The helicopter pilot helps the lead scientist to roll a tranquilised polar bear onto a cradle that will be used to measure the polar bear’s weight. It takes four people to lift the bear for weighing, simple maths is used to calculate the true weight of the bear for the records. Equipment is kept deliberately simple to save weight in the helicopter. 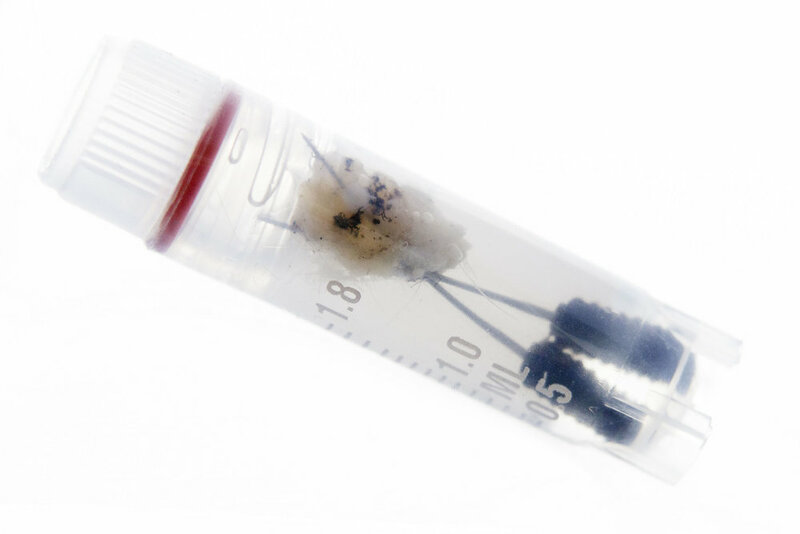 Scientists use a dart to take a biopsy from the polar bear, containing a sample of fur, skin and tissue. 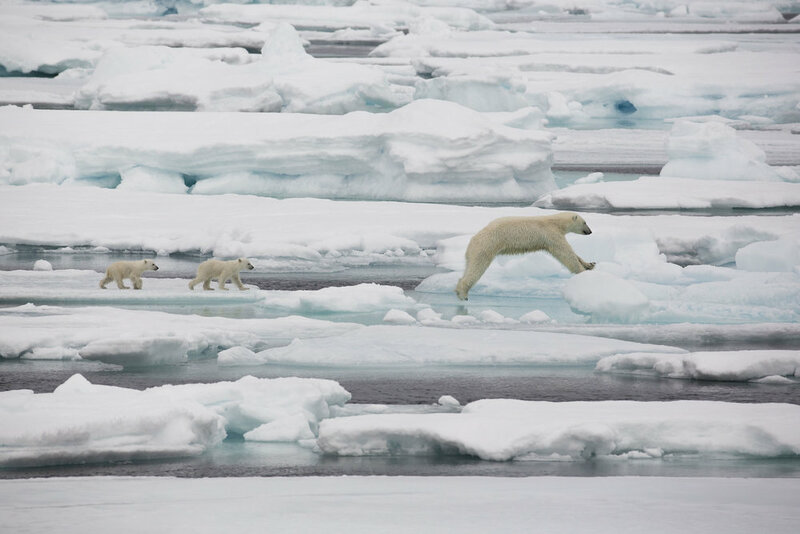 The typical habitat of a Svalbard polar bear -the long view shows their solitary existance. Fresh deep paw prints in a snow and ice covered fjord, show the direction of a polar bear’s travel. 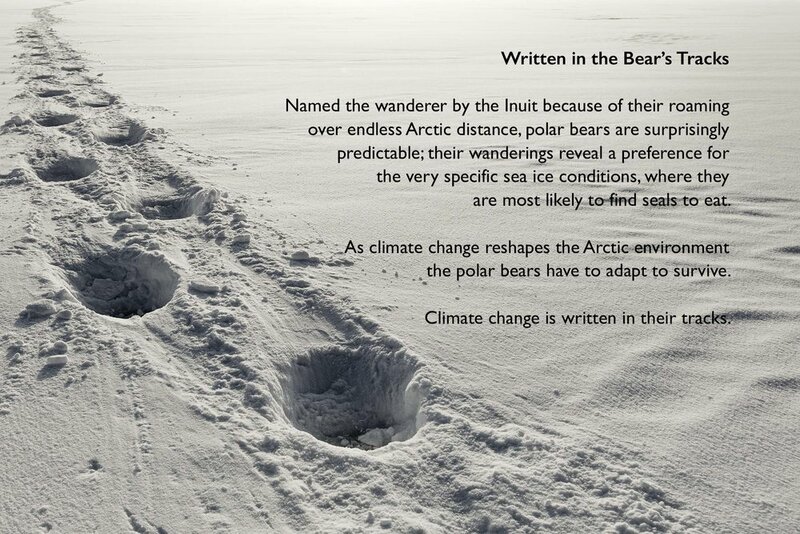 This environment with a sea ice platform to hunt from, but with some open water to find seals, is good hunting ground for a polar bear. A polar bear will actively seek situations like this one as it brings them into contact with seals -their preferred source of food. A position next to a break or 'lead' in the ice is ideal as it gives them a firm base from which to spring at the animal, which can often be found in the water next to the ice edge. 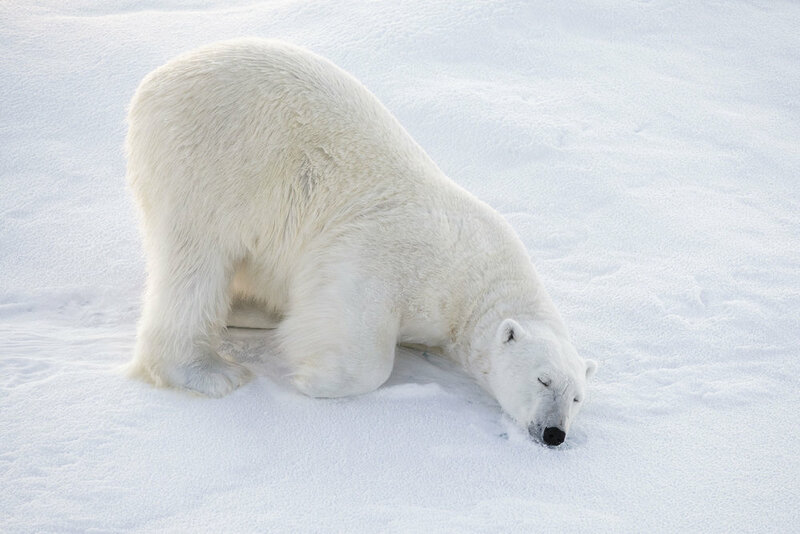 An adult polar bear rubs its nose and neck in the snow, photographed on sea ice north of the archipelago of Svalbard. 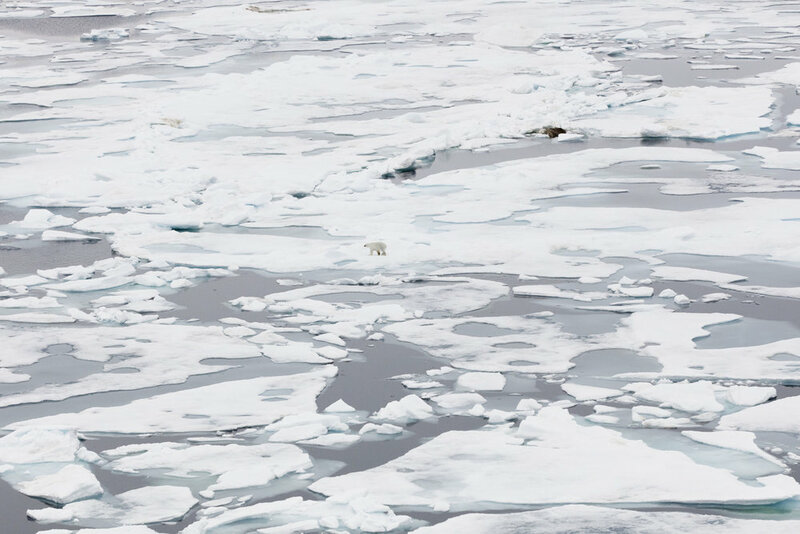 A polar bear sleeps on the edge of a sea ice floe in the Fram Strait north of the archipelago of Svalbard.